Toddler sized for lots of gross motor fun. The walls are 4" thick foam and 10" high. 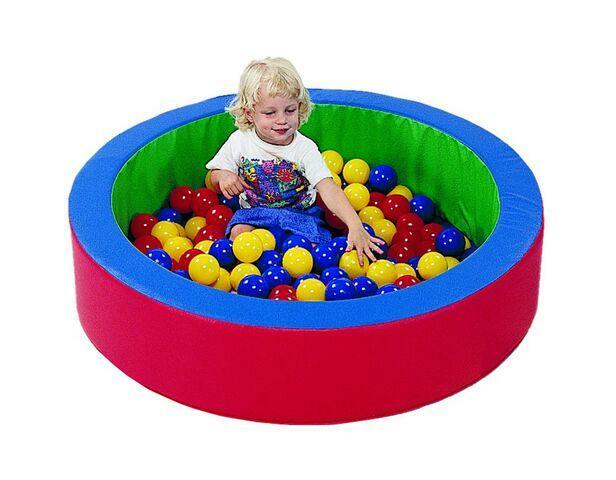 Includes 160 multi-colored balls, which provides multi-sensory tactile stimulation. 36" Inside diameter - Recommended ages are 6 months to 3 years old. Made in USA.